Two weeks ago, I read a headline stating that Denzel Washington beating out Casey Affleck to win the SAG’s Outstanding Performance by a Male Actor in a Leading Role was the biggest surprise of the night. Floored by the insinuation that Washington — who boasts a career spanning more than three decades and having already won two Oscars — was a surprising choice for the coveted award, I tried to imagine the same headline running if it had been Viggo Mortensen or Ryan Gosling over the embattled opponent (according to reports, Affleck allegedly has a history of sexual harassment and abuse dotting his own career). I couldn’t. It only served as a reminder of what I already knew: white institutions are never expected to acknowledge Black excellence, and that moments meant to spotlight Black genius are too often usurped to praise whiteness. While watching the Grammys last night, I received the same reminder. After losing out on previous Album of the Year nominations for I Am Sasha Fierce and Beyoncé, I was certain that even with its racist history of ignoring Black artists, the Grammys couldn’t deny Beyoncé her just due for Lemonade. But after delivering a breathtaking performance, which paid homage to the Yoruba deity Oshun, Beyoncé lost out to Adele’s 25 for Album of the Year. Taking the stage to accept her award, Adele gave a speech lauding Beyoncé saying that though she was “very grateful and gracious” for the award, Lemonade was “was just so monumental.” The British superstar went on to say that Lemonade inspired her “Black friends” to “stand up for themselves.” Then after the cameras stopped rolling, Adele reportedly broke her Grammy in half, symbolizing her desire to split it with Beyoncé. As word of Adele literally splitting the Grammy spread, Twitter users praised her for using her moment to spotlight Beyoncé. To ears and eyes unversed in empty shows of solidarity, Adele’s actions may seem selfless. But for Black women who’ve worked longer and harder than our white counterparts, only to have them promoted and recognized over us, we know this script all too well. Certainly, Adele could’ve accepted the award without mention of the absolutely innovative and awe-inspiring Lemonade or Beyoncé’s undeniable mark on music. However, saying just enough to signal that she’s aware that Beyoncé was robbed while not speaking candidly and directly to the racist practices at the root of the problem is a typical display of the kind of white feminist sidestepping Black women have been fighting for the past century and a half. I have no doubt that Adele’s Black friends loved Lemonade. But relying on her proximity to Black women to lend credence to her praise of the masterpiece while refusing to call out the Grammys for their repeated shafting of the premiere entertainer of our time is anything but noteworthy. Beyoncé has been on a steady ascension to the top of the entertainment mountain for nearly 20 years. Her performances at awards shows like the Grammys drive ratings through the roof. Her songs influence English lexicon. Hell, I typed her name in a text and Apple corrected it to add the accent. Her dues have been paid in excess. I would have loved to see Adele stand at that podium before millions and lambaste the Grammys for being all too eager to capitalize on the revenue Beyoncé’s performances bring while refusing to acknowledge her indisputable significance as a pop culture icon. It would have been remarkable had she acknowledged how Black artists have been ignored by awarding institutions, as white artists have been acknowledged for appropriating the music Black artists create. I would have been impressed had she refused to take the stage in protest, truly acknowledging that the woman who sat graciously in the audience after losing the award for a third time should have been the one standing at the podium. I would have most liked to have heard her admit that all of popular music is influenced by and copied from Black music. 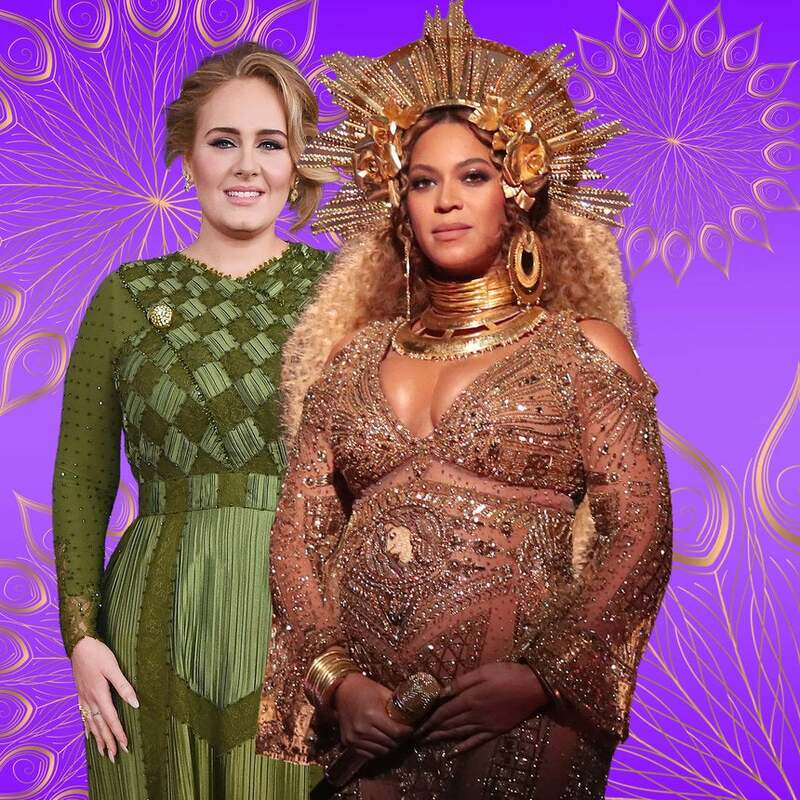 Splitting the Grammy was neither humble nor selfless — it still centers Adele as the hero while Beyoncé continues to be the catalyst. Even more, though, Adele’s offer to split the Grammy reveals that contrary to her initial declaration that she couldn’t accept the award, she had every intention of doing just that. She was not really willing to move out of the limelight, stepping aside because she knew the more deserving person should be standing there. At most, she was willing to share her light, reminding us that she’s great too. In this way, Adele hit the trifecta. She is the documented winner of the Grammy. She is making headlines for her perceived benevolence and grace. And, she was able to signal that she’s one of the good white allies. All the while, the Black woman whose artistry has endured sat watching. Beyoncé Giselle Knowles-Carter sat as she watched Adele acknowledge that she did not deserve the award. She sat watching, as Black women are too often forced to do, as a white woman who admitted she learned from her was given what a Black woman was rightfully due.